Colorado Springs, Colo. — The Colorado Department of Transportation (CDOT) will install 17 miles of fiber optic cable to connect a critical link between Woodland Park and Interstate-25/Cimarron Street in Colorado Springs. The fiber optic project, part of Intelligent Transportation System (ITS) in Colorado, is expected to last nine months. Construction begins in January 2019 starting from Manitou Springs and working east to I-25. Barring any unforeseen difficulties or weather adversity, the fiber is anticipated to go live by October 2019. The work will include the installation of multiple conduits for CDOT as well as current and future partners. This fiber project is the first step in converting US 24 to a Smart Mobility corridor. “The fiber optics project is part of CDOT’s Smart Mobility Plan, a first of its kind, which is part of a five to 10-year initiative for statewide technology deployment,” said CDOT Region 2 Program Engineer Mark Andrew. “This fiber project is the foundation for increased traffic monitoring, real-time communication to traveling public, and emerging vehicle communication technologies, all of which greatly improve safety and efficiency,” said Andrew. The project will utilize real-time access to traffic monitoring cameras, variable message signs, and traffic signals which greatly increase the effectiveness of these devices during significant corridor events, such as road work, major accidents, and closures due to extreme weather events. The fiber will also give CDOT a remote connection to the traffic signals in Woodland Park which will greatly improve traffic signal timing; thereby keeping traffic moving. 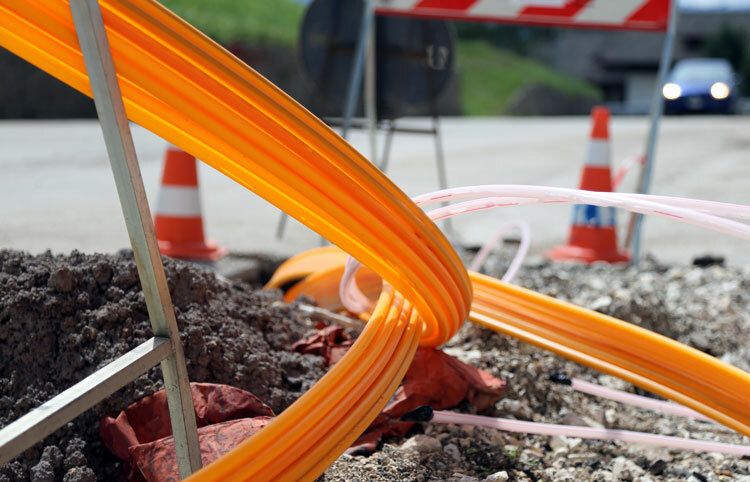 CDOT has partnered with local agencies Colorado Springs Utilities, El Paso County, City of Manitou Springs and Teller County to provide a path for installing their own fiber lines through this corridor. The fiber optic installation project is one of multiple Ute Pass Projects along US 24 that began in mid-2018 including the recently completed Rockfall Mitigation work and the Montessori Wall repairs, as well as on-going projects at Ridge Road and 31st St. and the Westside Area Action Plan along Manitou and Colorado avenues.